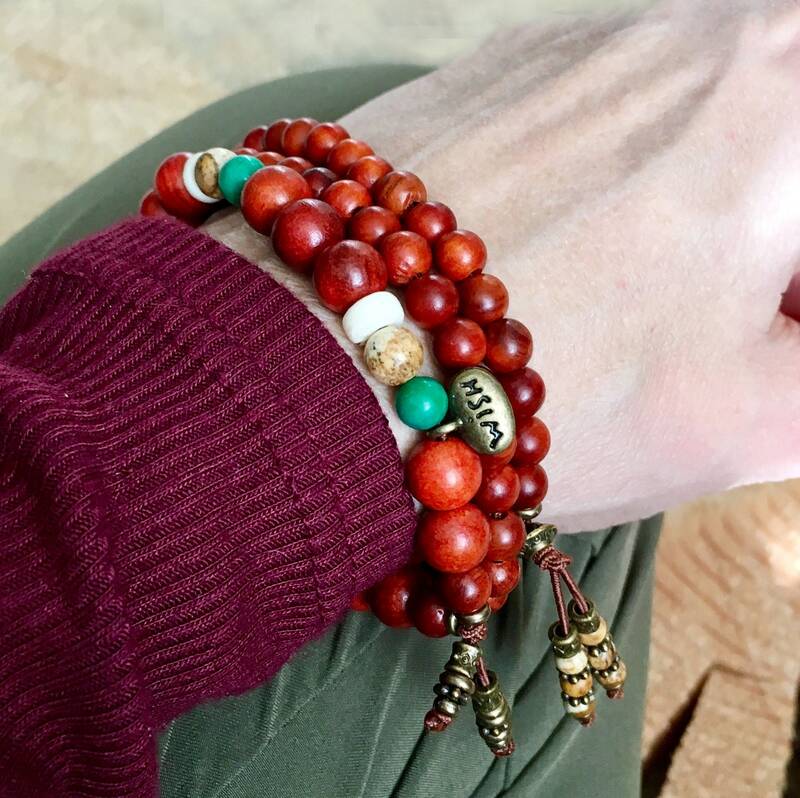 The Wish Come True Mala Bracelet Set includes two bracelets, the single wrap Wish Bracelet and the double wrap Raja Kayu Bracelet featuring gorgeous natural untreated deep orange Raja Kayu wood beads along with natural Turquoise gemstones, Picture Jasper gemstones, white coconut wood and a reversible antique brass wish charm to help you manifest your deepest wishes while protecting you from negative energies. Raja Kayu, or King of Woods is found deep in the interior jungles of south east Asia. The Malaysian indigenous or Orang Asli who live in the jungles believe the trees have magical and medicinal properties. To them, Raja Kayu wood dispels negative energies, attracts luck and fortune, grants wishes, instills courage and confidence, helps bring good energy into the home, promotes good Chi, eliminates bacteria in the air, helps detox the body and can assist with physical and spiritual healings. It’s important to know that these wise people wait until the limbs of the trees naturally fall to the ground before harvesting. Raja Kayu grows to over 35 feet high, and once they are fully matured they fall. It is only then that their essence or ‘purpose’ is fully realized. The wood is incredibly strong, dense, lightweight, corrosion-resistant and almost never cracks. Raja Kayu wood also emits a mysterious, unexplained red glow under UV light or LED bright light. Science has yet to explain it. Absolutely magical. Turquoise is a powerful purification gemstone. 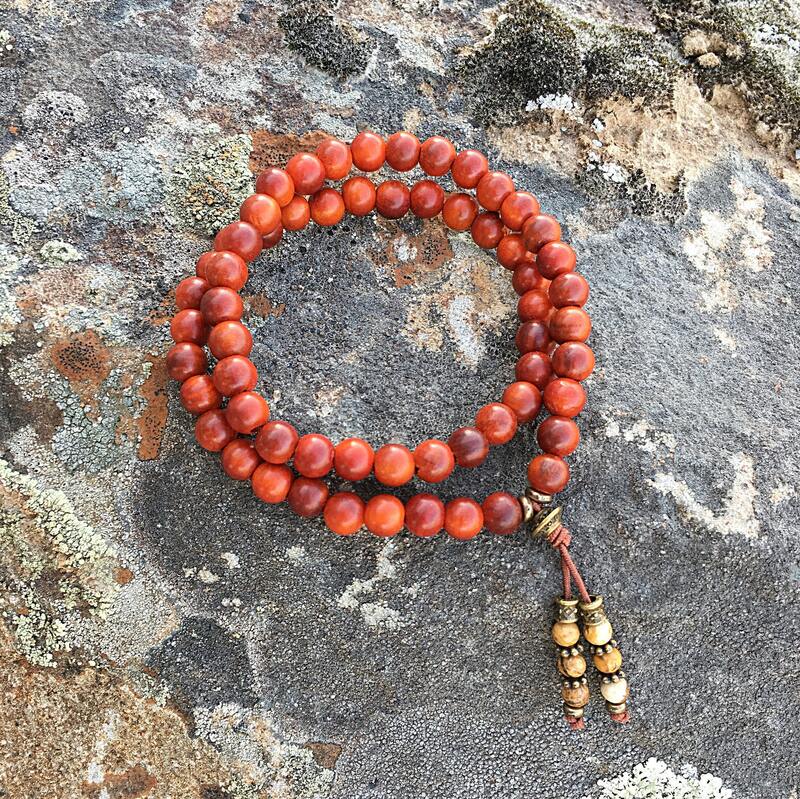 It dispels negative energy and can be worn to protect against outside influences or pollutants in the atmosphere. 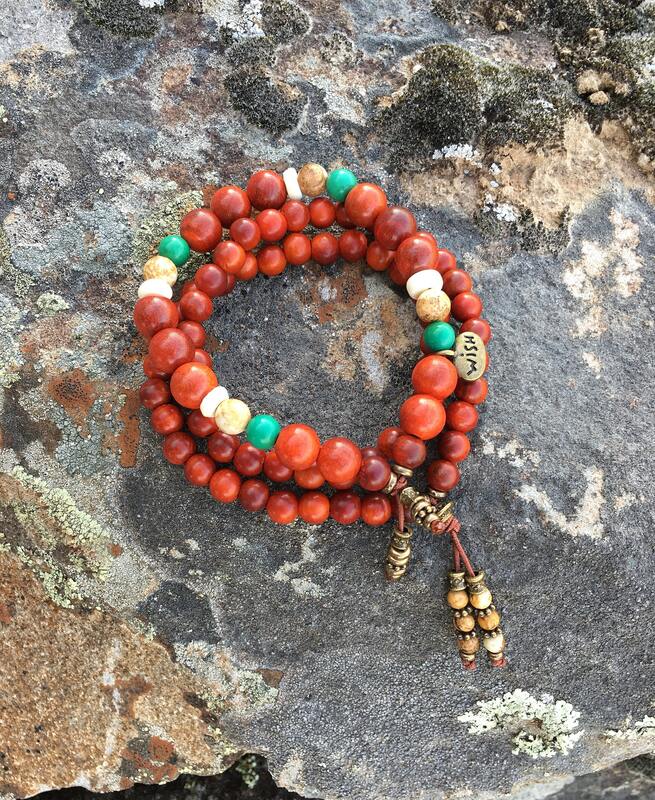 Turquoise balances and realigns all the chakras, stabilizing mood swings and instilling inner calm. It is an excellent gemstone for depression and exhaustion, and has the power to prevent panic attacks. It promotes self realization and assists creative problem-solving. Wearing Turquoise is also known to attract friendship and romantic love. 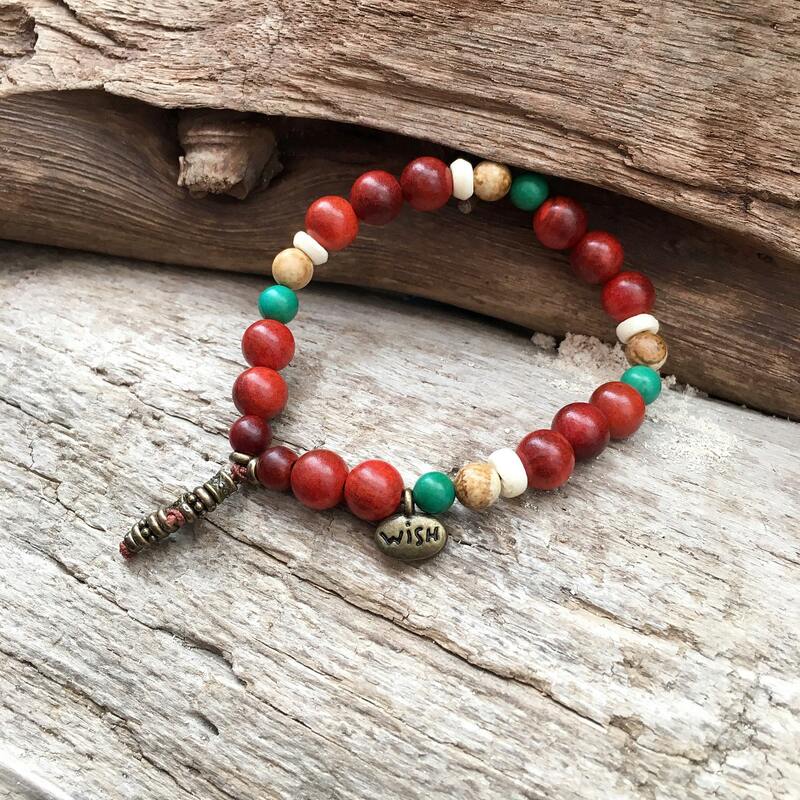 8mm and 6mm natural wood and gemstones, strung on strong elastic stretch cord. One size fits most wrists. Custom sizing is available.